If you’re all about your smart home, chances are you’re always looking for ways to improve it. Getting the best z wave controller can be a great step for people who have a lot of smart home devices and need them to communicate with each other effectively. It can be confusing to find the best of the best among cluttered z wave hub reviews, so here’s a quick list of what you should be looking for. Power: Many Z-Wave hubs are plugged into the wall to keep them constantly ready for anything you need. There are many other things that go with your smart home, like light switches and motion sensors that can use other forms of power so keep an eye on this stat. Usage: If you’re just looking for a light switch, a motion sensor, or a home automation system, give this box a quick scan to find exactly what you’re looking for. If you’re not sure where to start, you may need a home automation system so look for that first. Battery Life: Some hubs come with backup batteries that keep your home smart even when the power has gone out. Beyond that, some smart home objects are battery powered so keep an eye on this stat for those to know exactly how long they’ll last. App: Apps can make it easier to control and automate your smart home from wherever you are. Check out this box to learn which products come with an app that helps smooth over the process a little bit. Some products that are smaller, like light switches, do not typically come with apps. Size: The last thing you want is for your smart home to take up your whole home, so keep an eye on this box for just how big your devices will be. This can help you choose between smaller items like plugs and light switches, which can take up a lot of plug real estate. Warranty: We try to find you only the best quality products out there, but to help you maintain peace of mind, many of the products on this list come with manufacturers warranties that ensure they’ll keep working for years to come. Now that you know exactly what you’re looking for, let’s get to the good stuff. We’ve assembled a top quality list of all the best in Z-Wave products. If you’re in a hurry, start with our top and budget picks. Those are great options for anyone in the smart home market. If neither of those suits you, scan through to find exactly what you’re looking for. Good luck and stay smart! Our top pick is the best z wave hub around, making all of your devices come together seamlessly for an amazingly smart home. The Samsung SmartThings Hub works with Alexa, Hue, and Kwikset just to name a few. It functions as the brain of your home, making all of your smart home devices work together seamlessly. This hub allows you to choose from a wide range of compatible devices. Want to be sure your lights are turned off and your doors are locked when you leave the house? No problem. Need your morning wake up playlist to truly get ready for the day? 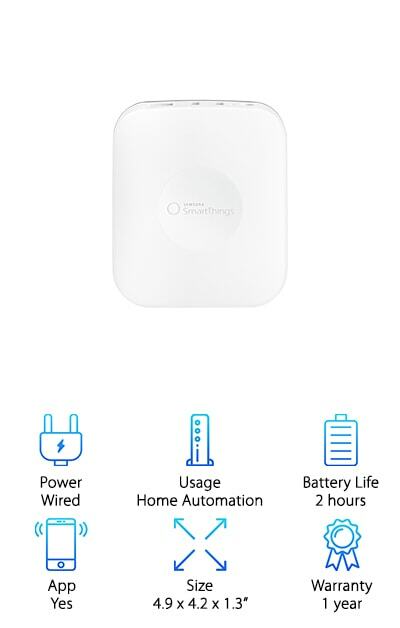 The SmartThings Hub has got that covered. This hub connects to your Internet via an ethernet cable. 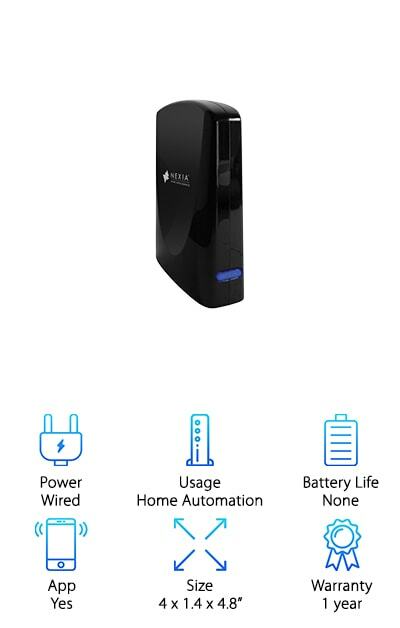 It even comes with replaceable batteries in case your power goes out, so your home won’t ever stop being smart. It also has an incredibly powerful processor to allow for offline processing and more powerful performance. Our budget pick is a great choice for people looking for a starter z wave controller hub or just something that won’t break the bank. The Wink Connected Home Hub allows you to easily set up all of the smart devices in your home to work together, not separately. Wink has even made a great app that allows you to easily set up and control your smart home. If you’re not a fan of the Wink app, don’t worry, you can also use your Alexa to control everything on the hub. The best thing about Wink? They’ll never ask for monthly fees to keep using your hub’s software, which is great peace of mind. Wink has even created shortcuts to help you cut down on long commands and get your home working smarter, not harder. You can even customize the way your devices communicate with each other for something truly clever. If all you need is something to turn the lights on and off, this is a great choice. The GE Z-Wave Lighting Control allows you to wirelessly control turning the lights on and off. It’s perfect for people who want to customize the lighting in their home, or for households where no one can seem to remember turning off the lights when they leave the house. You can schedule timed events, so all of the lights in the house will turn off when everyone leaves for the day and come back on when you return home. It comes with an always-on AC outlet and a Z-Wave outlet to allow you to control your lighting easily. The side plug design helps you save space, fitting easily behind furniture so no one has to see how you keep your home smart. You can easily control your lighting with your mobile device or with any Z-Wave certified gateway. 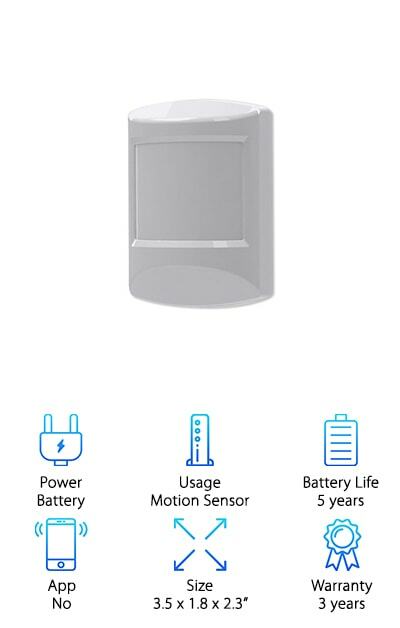 If you want a little bit of added security in your home you may need the best z wave motion sensor. This one by Ecolink is a great choice for people with pets or other interfering animals. It comes with a setting that allows it to overcome potential interference from pets as large as 55 lbs. This keeps you from getting false alarms, which can be a nuisance. It is easy to install and includes a flush mount and corner wall mount brackets that keep it securely in place. It comes with a five-year battery, so you won’t have to worry about it dying on you anytime soon. It is easy to integrate into any existing Z-Wave Plus home automation network, so it will work seamlessly with the system you already have in place. It comes with both automation and security modes, so you can use it however you want. 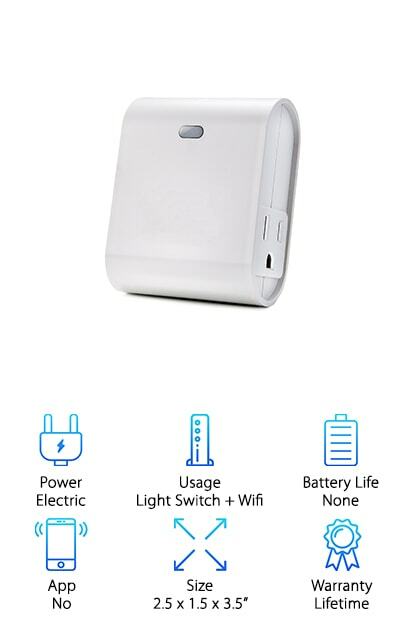 This Z-Wave plug is a great pick for people who are constantly frustrated by dead zones in their house. This awesome plug not only helps you control your lights or whatever you plug into it, it doubles as a wifi extender. This helps boost your signal and stay connected, no matter where you are in the house. It even comes with a lifetime warranty, so you can be sure it’ll keep helping you eliminate those dead zones and control your devices. It’s easy to set up, so you won’t be frustrated or have to worry about dealing with anything too technical. Inovelli says the setup can be completed in just five minutes. This plug is perfect for lights or anything else that simply needs to be turned on or off in your house. It works with tons of Z-Wave certified products, regardless of manufacturer. 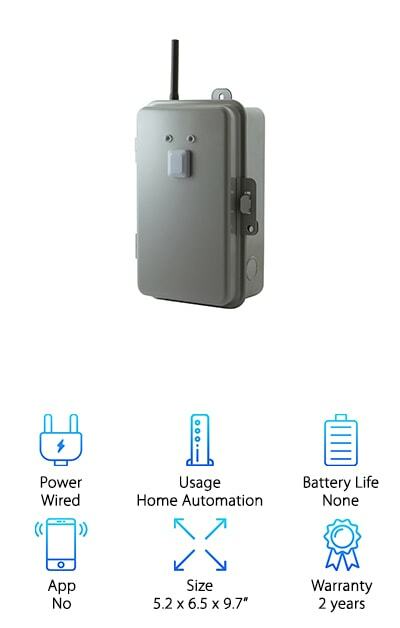 This is a perfect choice for far away lights or anything else that simply needs to be controlled by turning it off or on. This smart hub can help you make sense of what can quickly become a tangled web of smart products. This hub, by Wink, allows you to connect your diverse collection of smart products by allowing them to talk to each other. You can connect almost anything, from speakers to lights to the best z wave lock. It has an incredibly powerful Wi-Fi radio and Ethernet port to allow it to connect your products smoothly. A stronger processor allows it to operate faster. These things combined with some extra memory make this hub a great choice for anyone looking for a powerhouse of connectivity. Its sleek, modern design is sure to fit right into your home without creating the eyesore some hubs can. This hub is all about helping you keep connected seamlessly. You can even buy it with some extras, like switches and smart bulbs to really start making your home smart. Just need something simple that can get the job done for your lights and appliances? Try this switch by GE, among the best z wave switch out there. 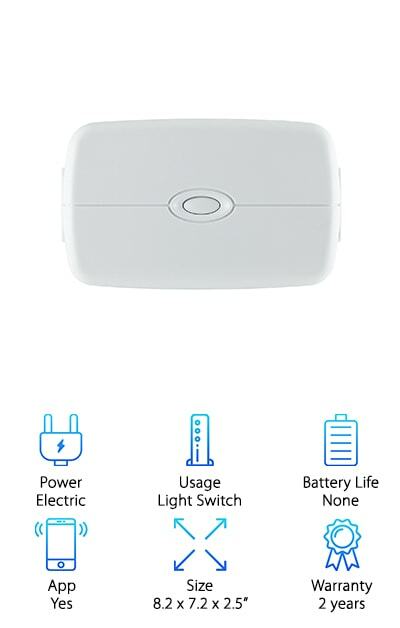 It can connect to your Z-Wave certified hub and control things like water heaters, landscape lighting, spas, pool pumps, heaters, and more. This switch is special because it is lockable and tamper resistant, keeping intruders away from your precious appliances. The metal case also helps keep dirt and debris away from your plugs and keeps it weather resistant. This is a great choice for people looking to automate their outdoor space as well as their indoor one. 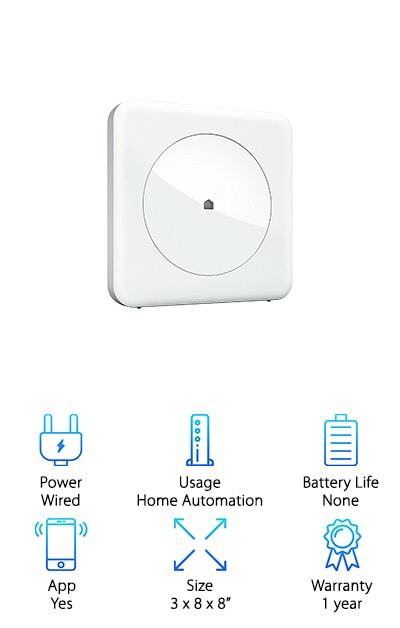 This switch requires an Alexa or another Z-Wave hub to control it but makes for a great addition for people who already have this system in place. It even includes energy-monitoring capabilities so you’ll always know how much you’re saving and spending. This is a great pick for anyone with lots of outdoor appliances. This hub is perfect for powering all of your smart home devices. It keeps everything connected through its online system. The Nexia Z-Wave Bridge Hub connects to your router and allows you to control your home through a securely encrypted internet connection. This is perfect for anyone who is worried about hackers spying on them through their smart home devices. It communicates with many other Nexia-compatible Z-Wave products to give you complete control over everything going on in your home. This allows you to feel safe and secure about your smart home without giving up any control. This is a perfect choice for anyone looking to upgrade their Nexia-compatible system. 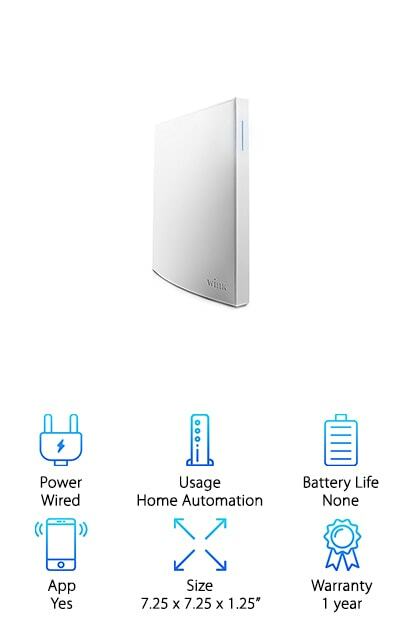 It can hold up to 200 Z-Wave products at the same time, making this a great choice for anyone who is constantly adding to their smart home. This smart hub can help you control all the devices in your home easily and reliably. The best part? It requires no monthly fees or contracts to keep up, meaning you’ll always have access to everything on your hub without paying anything extra over time. 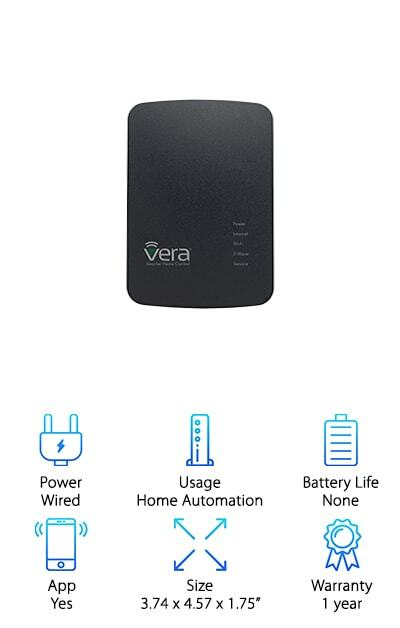 This hub functions as the brain of your smart home and it works well with many other brands and systems, check out the page for a full list. You can choose between using the Vera mobile app or the Amazon Alexa app, which can be handy for users who don’t want to add yet another app to their phone. You can easily control everything in your house through this hub. That includes things like dimming the lights to set the mood, locking up the house when you leave, or even putting on your favorite song when you get home from work. You can easily create settings for different times of the day or events, like a vacation. Just looking to beef up your existing Z-Wave smart home? Consider adding the best z wave light switch around. The GE Z-Wave Control Smart Switch can either be controlled manually or with your compatible hub. You can even control this switch with Alexa. 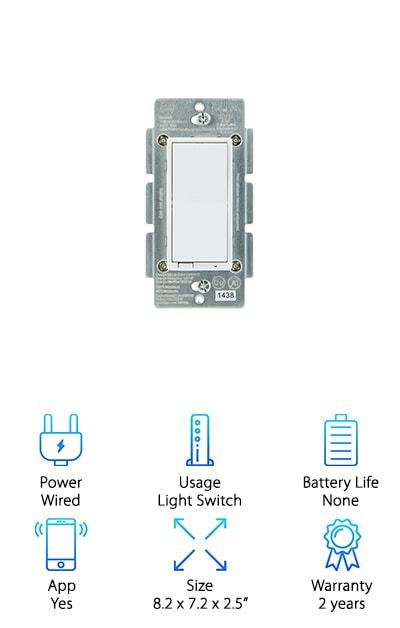 This is a great choice for people looking to automate the light switches in their house to save on energy costs, but don’t want to take away the manual option of turning the lights on and off. It is easy to replace any standard in-wall switch with a smart GE alternative, so it’s a great choice for people who want to make a move towards a smarter home. The screw terminal installation makes it space-efficient when replacing existing switches. It comes with an integrated blue light LED indicator that makes it easy to locate in dark rooms. This is a great pick for anyone looking to slowly automate their entire home.